If you work all day and don’t get time to book an appointment, this designer boutique is open only in the evenings. So you don’t need to stress about finding time to get your outfits ready. At Tripsy’s Couture, you can pick a fabric, pick the laces and other details and embellishments or leave it all to the designer to take care of. Name your price and you can have an outfit ready in a few days. The boutique can stitch up lehengas, gowns, dresses, bridal wear and other Indian outfits in a few days. All you’ve got to do is tell them what you want. But if you’re one who can’t be bothered to buy or stitch outfits, you could rent one too. We get it, no one likes to wear the same lehenga to every friend’s shaadi. So instead of cramming your wardrobe and burning holes in your pocket, simply rent outfits starting at INR 1500. Pretty great deal, right? 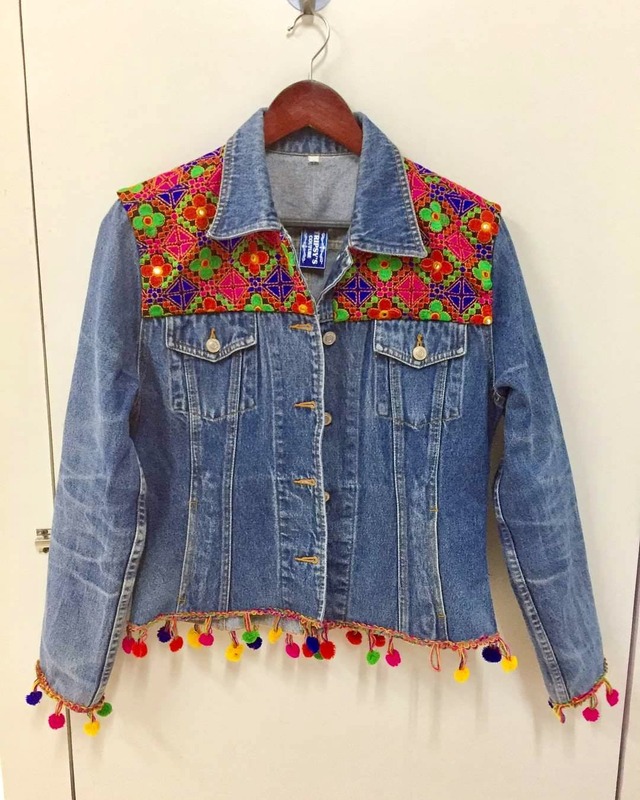 We loved an ethnic take on a denim jacket, which would look great for an indo-western look. And, sarees waiting to be picked up by customers, were gorgeous. We found something for every day of the shaadi functions, right from the mehendi to the reception. We’d love to see more ready-to-wear cocktail dresses or gowns that we could rent too.